Students will discuss the introduction of exotic species to Australia and some of the reasons these species are so successful at establishing here. Abiotic factors such as light intensity, soil moisture & pH and temperature will be measured to discuss their influence on the distribution of these species. 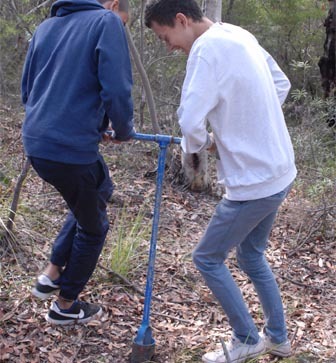 At Long Reef, native and introduced plants in the sand dunes will be identified using a key and an introduced plant and animal will be closely studied to identify reasons for their success, their impacts and the methods used to control them. At Carroll Creek abiotic factors will be measured in weed-free and weed-infested bushland to determine their influence on the distribution of weed species. An introduced plant and animal in the bush environment will also be studied in detail.